This very Righteousness was given to you and to me the instant we believed in Jesus Christ and His Finished Work on The Cross at Calvary. “For He made Him who knew no sin to be sin for us, that we might become the righteousness of God in Him.” (2 Corinthians 5:21) Jesus Christ, The Son of God, bought the right for you and me to become, The Righteousness of God, through His Blood on The Cross at Calvary. 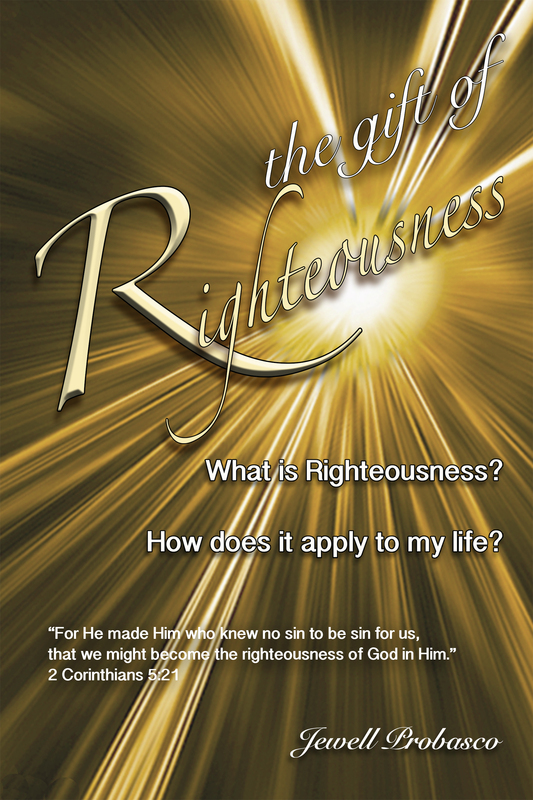 This Wonderful, Priceless, Gift of Righteousness, cannot be earned through our good works. Cannot be achieved by living a good moral life. This Gift was given to us when we believed in, trusted in, in other words, had faith in The Finished Work of Jesus Christ, our Lord on The Cross at Calvary. The more you grow in Righteousness Consciousness, the more you will become aware that while the world is living in fear and turmoil, you, as the child of God, having received this Gift of Righteousness, can live every minute of every day in Peace, Quietness, and Assurance. My prayer is that this book will bring Revelation, Insight, and Understanding into your life and help you become established in The Gift of Righteousness given to you as the child of God through The Finished Work of our Lord, Jesus Christ, on The Cross at Calvary.